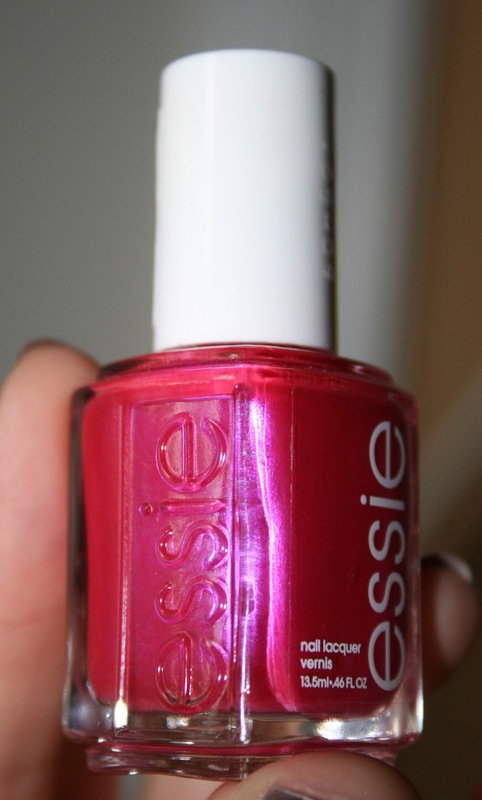 Plumpish Beauty: Summer Essie Haul AND How much do I spend a year on subs?! Summer Essie Haul AND How much do I spend a year on subs?! 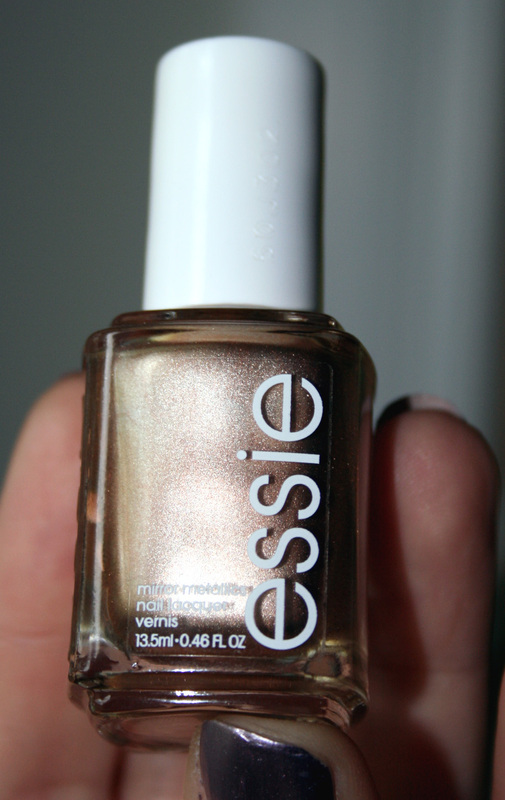 The title may be a bit misleading because I bought a lot more Essie over the summer than what I'm showing. 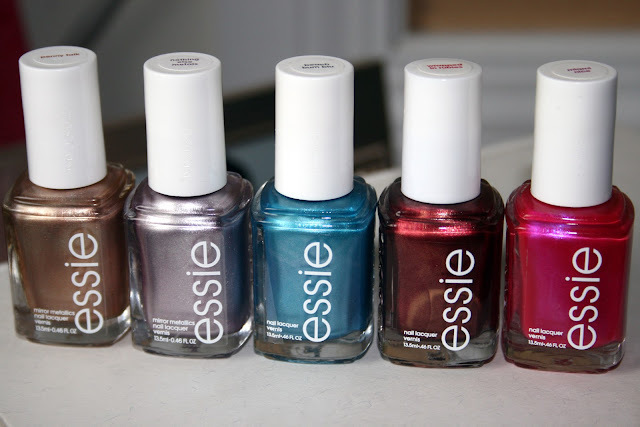 What I'm showing you is my greedy haul when Superstore had the polishes on sale for I believe $6 each. I couldn't resist, since it's my favourite brand. I wanted to share with you the swatch of Nothing Else Metals. It's gorgeous! I have 4/5 of the colours in the collection and they're all super amazing. 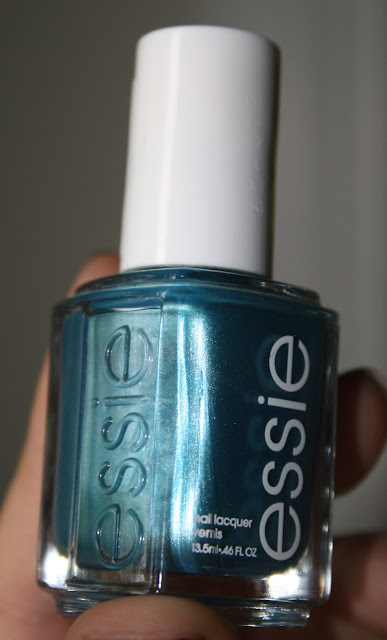 It's a bit different than what Essie normally does and it definitely has a wow factor. I found the application smooth, however if you have a lot of nail ridges/imperfections you may want to use a base coat that is a ridge filler. I wasn't too picky on it. I'd love to find a glass like finish topcoat, does anyone have suggestions? Here is the whole lot from my Essie's on sale and I can't resist haul. ;) Aren't they so pretty? NOW...I've been getting overwhelmed with all the samples and such that I've been receiving. I've been trying to be objective in selecting 3 subscriptions to stay with..and I just can't decide!! I don't know what's wrong with me! So, I decided to look at how much I actually spend in one year...brace yourself... approximately $2007.00!!!! That, is INSANE! It wouldn't be so bad if that was cosmetics (Which I don't even want to add to this total!!) but that's just SAMPLE boxes!! Holy smokes. I have to do something about that, no? Have you checked what you spend annually? My gut is telling me to drop Glymm and Julep. Glymm, because it has been consistently getting worse and Julep because I have too much polish. Next on the list would be Luxe box, because my box sucked really bad and we're not even getting the winter box until end of December/beginning of January. They originally were supposed to ship end of October AND they've had my money since mid September. How could a company take my money 3 months in advance before I even receive anything? Nothing Else Metals is gorgeous! I'm going to have to get my hands on that one. I dont think Ive spent as much on Sample/Beauty Boxes but my number is still pretty high. You dont realize how much you spend when it is just $10-$20 a month per box. Writing a beauty blog definitely does not help cause you spend more in order to have stuff to write about. It is so incredibly beautiful. I didn't think I would love it as much as I did until it was on my nails. Yes, you just think it's 10-20 bucks but not really thinking of the whole picture. :/ I really don't need this much stuff.. it's just so hard to give up. And blogging is an expensive hobby and a ton of work! Oh you are BRAVE, girl! Adding up the cost of those subs! I also had to cut back a few months ago. I agree - Glymm is the first one I'd cut if I were you. The thing I like about Julep is you have the option to skip the month, which no other sub does. I LOVE metallics - great Essie haul! Wow, it's a lot of money for samples... It'll be a good idea for me to add it up too and see where I'm at with that. I started almost 6 months ago so I could do a semi-annual total which would probably be helpful to make sure I don't overdo it in the future. I feel like I've been kinda reasonable since I'm keeping it at 2 boxes per month but those don't include the occasional Julep (I normally skip) and the "extra" non-recurring ones like Divalicious that I got and Natural Beauty Box. 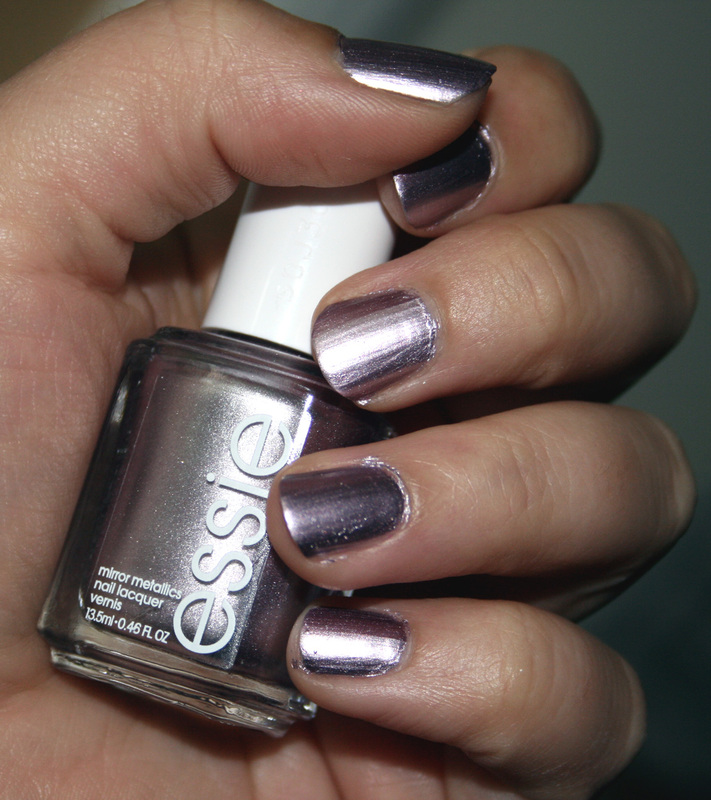 Yes, metallics are gorgeous! 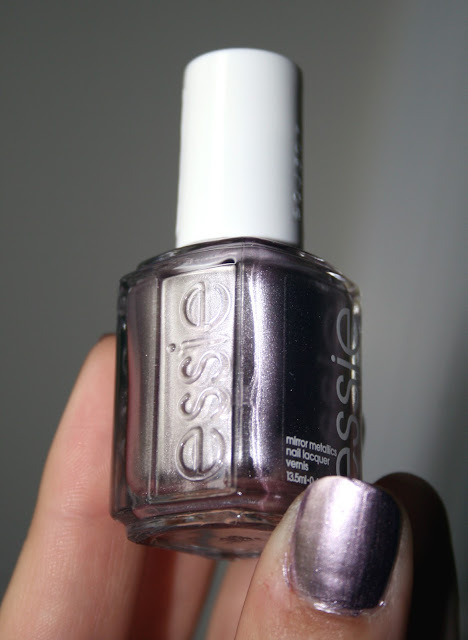 I'd love to find a high shine topcoat! You have self control girl..self control I lack! I love that you can skip the Julep and maybe I should be happy that I forgot about Sweet Divalicious this go around. I know, redic, right? Did you ever think to add up yours? I keep wanting to dropp Glymm..but I actually liked this month and I'm still at the $10... But, yes..that's the problem..I don't *NEED* so much stuff. :( Hoarders unite! My number is probably pretty close to yours!! Yikes!! What pretty colors of the Essie swatches. 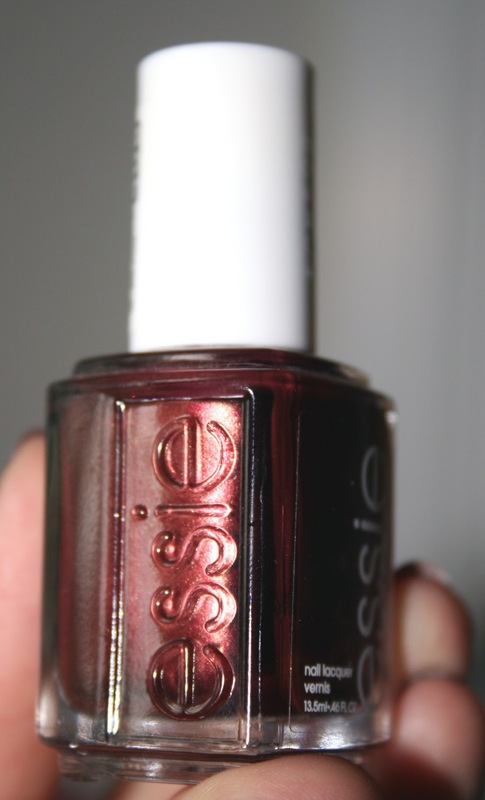 I have Wrapped in Rubies and its such a great fall color. I will have to look for the others. OMG we aren't going to go there with how much I spend on sample boxes. I am sure its well above your total. That seriously freaked me out. I know you don't realize when you do it monthly because its nothing but I am scared to find out what I spend in a year. Thankfully I don't get Julep anymore but I seriously need to cut back on what I get and cut ties with subs I no longer feel live up to what they promise. Yes, wrapped in rubies is perfect! It's on my toes right now!